Incorporating maps into your designs is a great way to give them that authentically vintage feel. Maps can evoke a sense of wanderlust or harken back to a time of adventure. 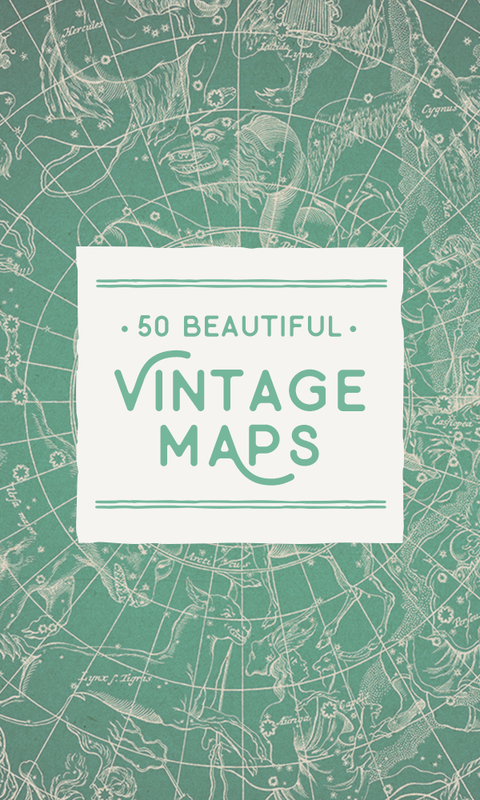 If you want the best vintage maps for your retro designs, check out the 50 below. This old map of the world was printed in Germany in 1630, and its use of Latin titles and ornate design is a great choice for any antique-feel project. This old map of the Northwestern USA is a great retro-feeling resource to use if you are working on a design focused on that region. This map of Italy has a distinct hand-drawn style, and it highlights the biggest and most historic cities in the boot-shaped country. Colorful and ornate, this map of the world was printed in 1587 by Mercator. This design contains a map of Central America from 1969, and its bold sans serif font feels like it's straight from the late '60s or early '70s. Dotstudio has created these 10 unique grunge map backgrounds, which evoke the feeling of a map without delineating any specific geographical place. This is a photo of a map of oil rigs in Oklahoma, created by designer Hal Gatewood's grandfather. This photo of a vintage oil map was also taken by designer Hal Gatewood. This photo contains a compass, as well as a map of Alaska from 1969. This photo of a crumpled tourist map from biletskiy is a great resource to use for a design background. This map set contains 30 images with a variety of textures, backgrounds, and photos. This photograph of an old world globe by Estudi Vaque shows a close-up of Australia and the surrounding ocean.